Turi Beach Resort with collaboration with Batam Bali Community and fully supported by Wonderful Indonesia will held a weekend event which called “BALI FESTIVAL “from Friday 5th May, Saturday, 6th May and Sunday,7th May 2017 . 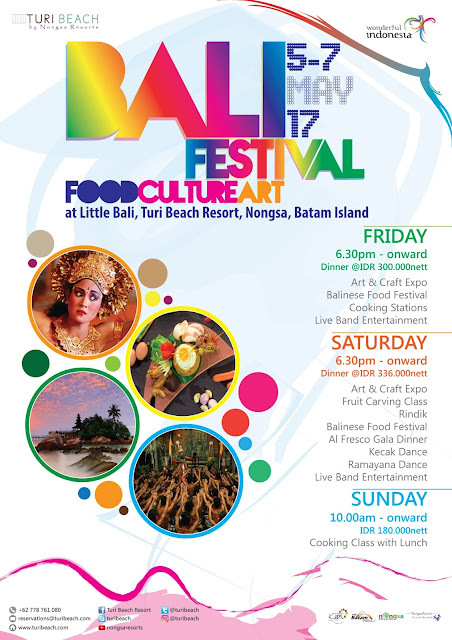 Bali Festival is aiming to increase significant number of International tourist visit Indonesia via Nongsa, Batam Island-Indonesia said Sumantri Endang, General Manager of Turi Beach Resort. 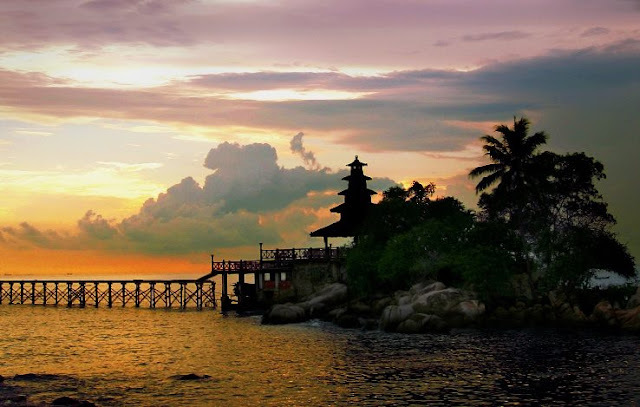 Turi Beach Resort a little Bali in Nongsa – Batam Island – Indonesia. Nestled in Nongsa Resorts, at the northeast part of Batam Island - Indonesia, and 35 minutes away from Singapore by ferry. Set amid 7.7 hectares of beautiful green landscaping in a tranquil tropical village, Turi Beach Resort features Modern-Minimalist accommodation in Tirta and Riani Wing. All 140 deluxe rooms and suites are facing the sea, being well spread over the beach front and the hillside. Riani Wing encompasses a collection of contemporary wooden design timber cottages with private balcony and daybed scattered across a generous parcel of natural landscape that descends down to meet the sea. The suites have a separate bedroom and living environment plus a lavish Jacuzzi for a spa-inspired bathing experience. Dinner will featuring Balinese cuisine with live cooking stations and live band entertainment. The highlight of the event will be Al Fresco Gala dinner featuring Bali culinary showcase. The mesmerizing Balinese showcase, Kecak dance, Ramayana dance , and crooned with the live band. On day three of Bali Festival an exciting cooking class featuring Balinese cuisine awaits you. Price at IDR 180.000 nett include lunch. 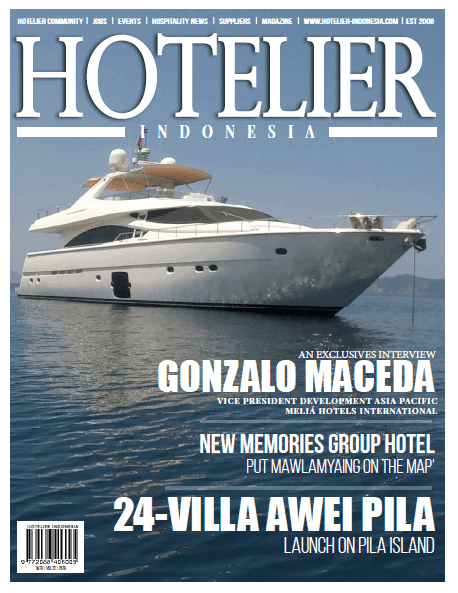 Learn from our Indonesia talented chef who been cooking for living.